Joker Jester | Mbile slots game with 5 reels and 20 lines. Joker Jester is a mobile slot machine with 5 reels and 20 paylines. The game was designed by NextGen software developers who are part of the Amaya Gaming stable. Joker Jester therefore offers players on tablet and smartphone the opportunity to win up to 1000 coins while utilising both Wild symbols and Scatter features for assistance in this regard. The game of Joker Jester enjoys excellent functionality on any mobile device and can be played in instant, or no download mode. Joker Jester has simple and plain graphics, which are ideal for mobile play. The game interface is straightforward and intuitive and can be enabled even with only 3G coverage. This game is ideal for long car and train journeys. Thematically, Joker Jester has a good subject. In bygone times, the jester was the equivalent a current stand-up comic or clown, with a social role of being entertaining in a humorous way. The jester is the main symbol in this video slots game too. The Joker Jester slots game has been made to put one in the mind of a jester’s appearance with bright colours throughout. This does create a rich medieval atmosphere for the game despite the small screen application. The additional reel symbols are in line with this theme and include castles, barrels, egg baskets, balls and mandolins. The lesser symbols are made up of the ubiquitous card symbols. Joker Jester is a slots game that is aimed at the lower end of the market, and as such is regarded as a penny slot. 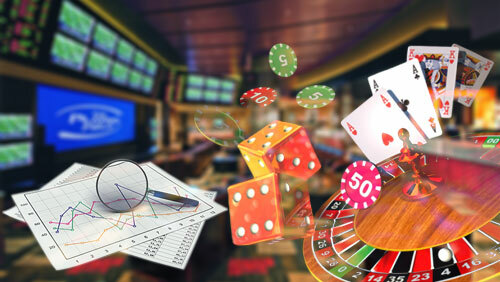 This enables players to play a great deal of spins at very little cost. The coin denominations in this game start at 0.01 coins, and increase to a top value of 2 coins. This translates to a maximum stake per spin of 40 coins with many low cost stakes available. The top jackpot is 500 coins. The Jester is the Wild symbol in Joker Jester, and as a wild substitutes for all other symbols except for the juggling balls, barrels and baskets in creating winning combinations. Joker Jester slots game has a Jester Wild feature as well. This is a random feature that could appear after any spin in the game. The jester leaps around the reels in a random fashion and thereby makes various other symbols wild as well. Players are then credited with additional wins as a result of the swathe of new Wild symbols. This could even include activating the Juggle and Barrel bonus game features. The Juggle Bonus game is triggered when Egg Basket symbols appear on reels 1, 2 and 3. The Bonus game then appears with the Jester juggling three eggs. Players gradually add additional eggs to these three, thereby increasing the multiplier effect from double to a factor of 500x. During this game players add as many eggs as they dare, knowing that at any point they can stop and collect the current multiplier. The Barrel Bonus game is a simple pick and choose feature game, where barrels are destroyed in various amusing ways. This game is triggered by landing Barrel symbols on the 3rd, 4th and 5th reels. Joker Jester is a colourful and entertaining mobile slots game.